How beautiful is this? I love the new curtain and how great the quality is. Judge for yourself!! 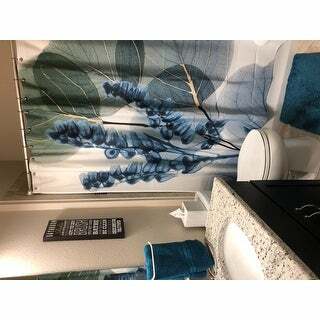 Add a serene, calming atmosphere to your bathroom with this lovely Laural Home Blue Lily of Eucalyptus shower curtain. 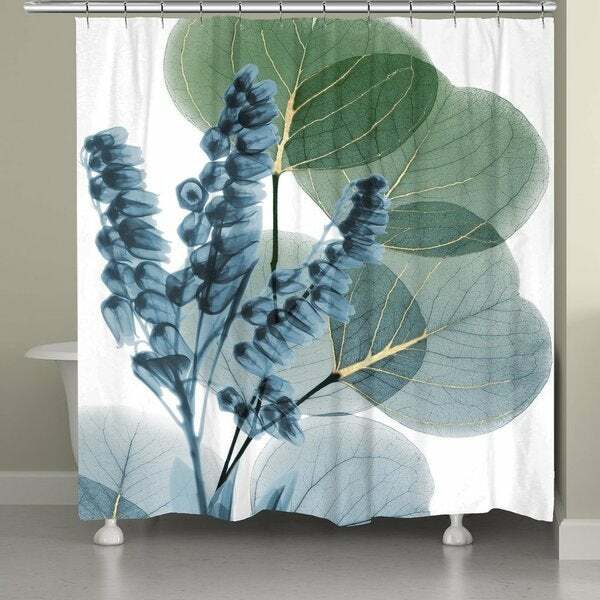 The curtain features a beautiful x-ray image of a eucalyptus flower that will enhance any bathroom decor. 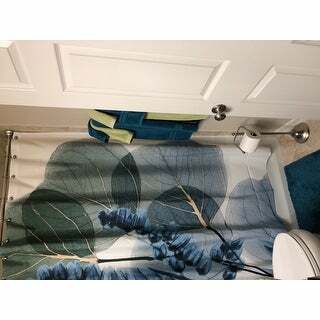 We LOVE this artistic shower curtain and have received many complements on it. The colors are as pictured and the quality is excellent. Would definitely recommend any products from this manufacturer. This shower curtain is absolutely gorgeous. From the design to the colors, it’s a wonderful addition to my bathroom. Not something you see everyday and for me, that’s an even bigger plus. Would definitely recommend. Beautiful colors! The fabric is silky! Definitely not a cheap looking shower curtain. This curtain is unlike any I've seen in bed/bath shops or department stores. It is a statement piece and just what I was looking for in my new home. Returned this item. The material seems cheap to me, and it truly looks like a photo, but not of good quality. The colors were not exactly what I expected either. But Overstock made it very easy to return without a hassle. colors are exactly as in the picture!